Planning the layout for a spacious “great kitchen room” can be as much of an ergonomic challenge as planning a compact kitchen. 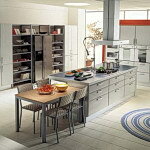 Aim to incorporate separate areas for work and relaxation so others can share the kitchen and remain out of harm’s way. 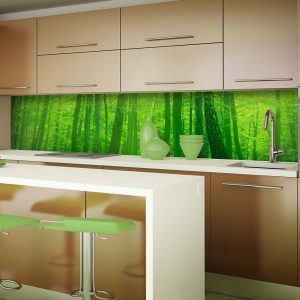 Approach the design of a large kitchen as with any other: selecting specific areas for food preparation, cooking, eating, and relaxing zones. Use a dining table, an island, or sofa to create a natural divide between the kitchen and the living area so that each part can function separately. 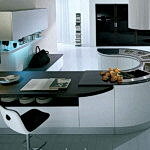 A large kitchen needs a strong focal point around which the various activities revolve. Avoid placing all kitchen cabinets around activity zones around the perimeter walls as this will create a lot of “dead space” in the middle of a large room. Instead, concentrate the activities in one area so that the user does not have to waste time and energy walking large distances from one activity zone to the next. 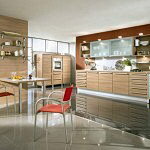 Where there is sufficient space, a central island for food preparation, cooking, and eating is ergonomic as it concentrates activity in the center of the room. Large-scale, commercial appliances have the right proportions to look comfortable in a good-size room, so take advantage of the wide range that is offered. 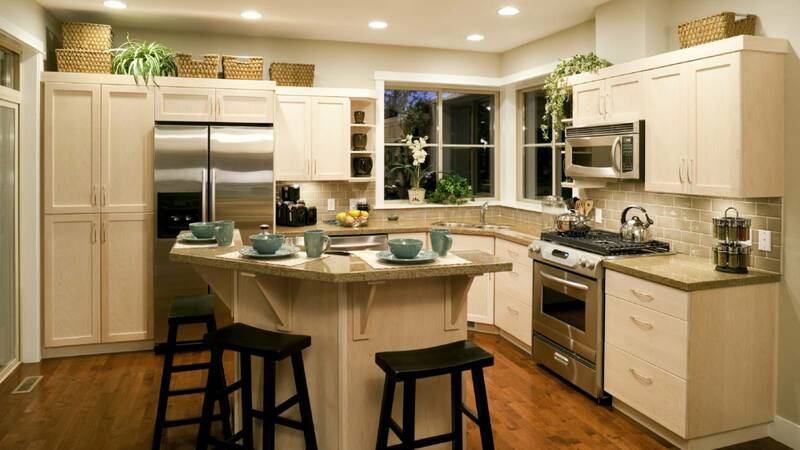 In large kitchens, consider installing features such as a second smaller sink to take the pressure off the main sink. This back-up sink can be used by others for rinsing salads or glasses before refilling them. 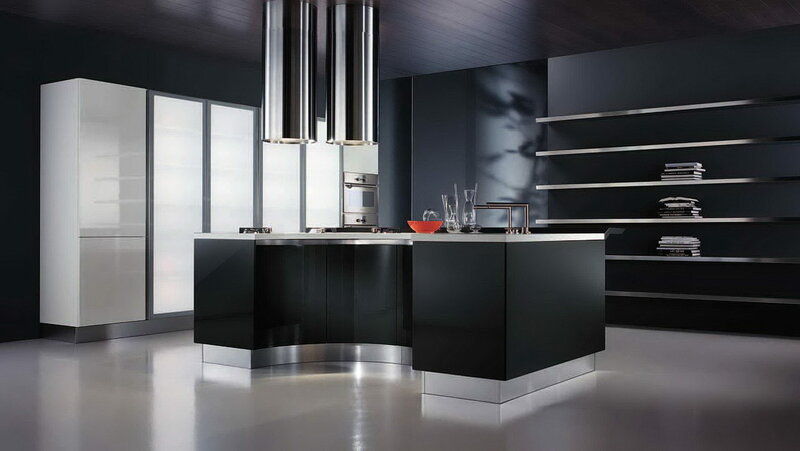 When deciding whether to place the cooktop or range in an island or on an outside wall, bear in mind how the extractor hood and overhead ducting may affect the visual proportions of a large kitchen. Remember to plan the position of the refrigerator away from heat sources and close to the eating and relaxing area as it will be used by everyone, and it is important to keep general traffic away from food preparation and cooking areas. To avoid shadowy areas in the center of a big room and in activity areas, natural and artificial lighting has to be well planned. 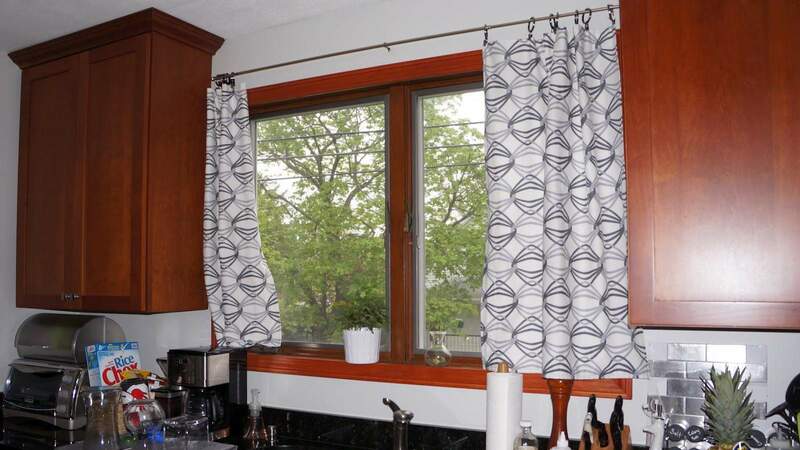 Generally, it is best to place the eating area where windows or glass doors offer natural daylight. However, you may prefer this location for your sink or food preparation areas. Positioned away from natural light sources, the eating area will benefit from a lighting installation that offers clear and subdued light levels for all occasions. 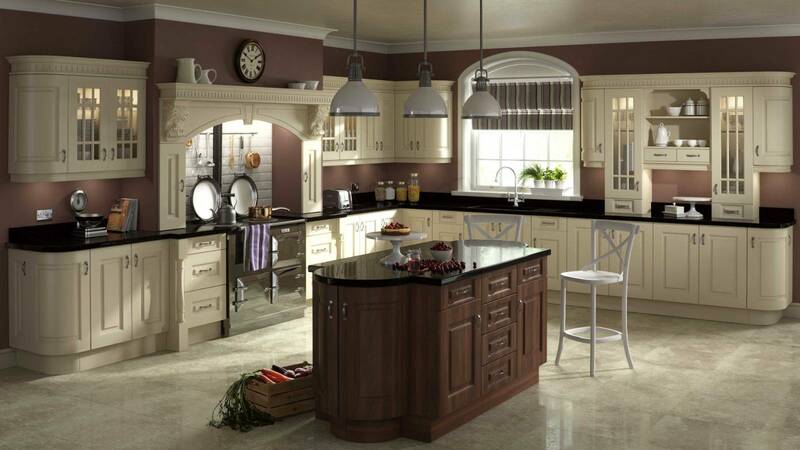 A grand kitchen room should look attractive as well as being functional. 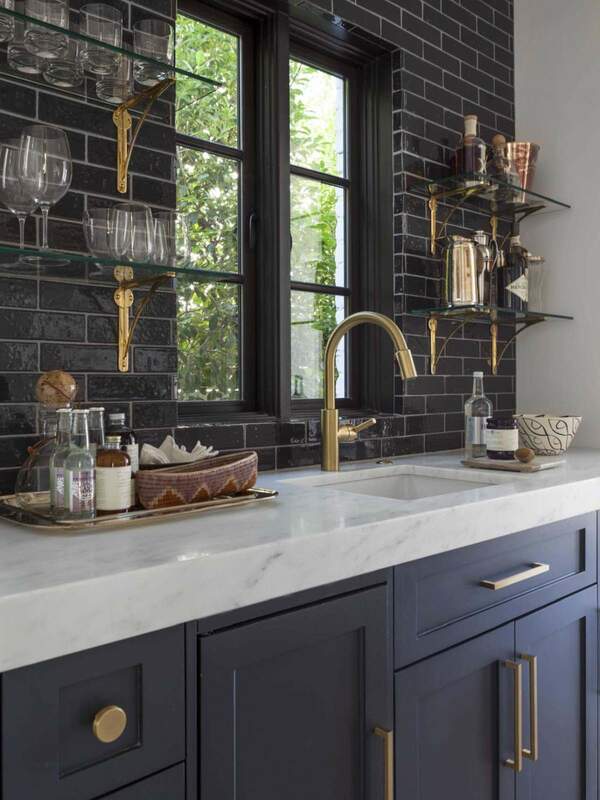 Clever use of color and materials will link work and relaxation areas, and by using similar materials throughout the kitchen, you will make sure that the room’s style is consistent. To add interest to solid color door and drawer fronts, combine open shelf and glass-fronted cabinets to break the monotony of repetitive cabinetry. 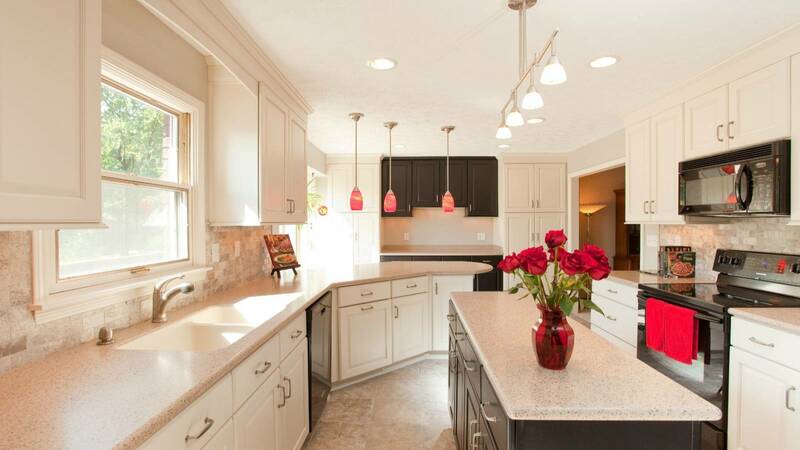 Install colored flooring, countertops or backsplash that enhances not merges with the cabinets. Aim to have a point of interest within the room; a colorful refrigerator, antique table or collection of kitchenware could be all that is needed to create a comfortable, well-furnished room. Because of the different thicknesses of hard and soft flooring materials available, it is practical to use the same flooring throughout the kitchen and living areas. A rug or carpet in the dining or relaxing area will add comfort and create a relaxed, informal look. 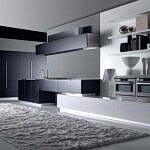 With clever planning and resourcefulness, a single line of cabinets can function as an efficient, streamlined kitchen. The location of the sink, cooktop, and refrigerator is the key to a successful layout, and the detail you choose will create the kitchen’s style. 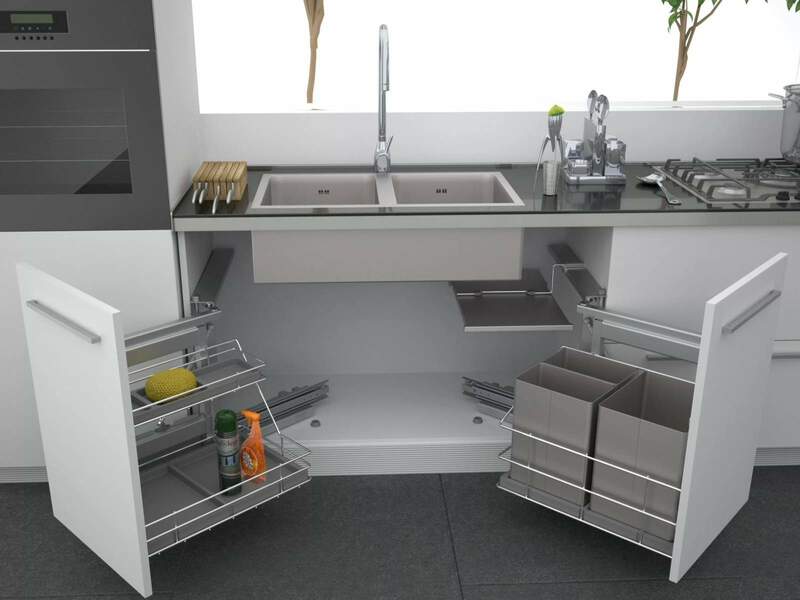 In a single-line or one-wall galley kitchen, the work triangle concept does not apply. Movement is linear from one activity area to the next. 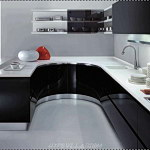 For ease of use, it is advisable to separate the cooking and washing zones by a length of work surface. However, resist the temptation to place the sink or oven at opposite ends of the run in order to gain a larger counter area, or you will feel restricted and your movements will be compromised. There must be sufficient room to set down hot pans on either side of the stove area, and space for pan handles to slightly project over the edge of the cooktop without becoming a hazard. To maintain an uninterrupted work space, plan below-counter appliances such as a compact refrigerator, oven, and dishwasher, and use any remaining space to fit base cabinets for storing heavy pans and electric appliances. 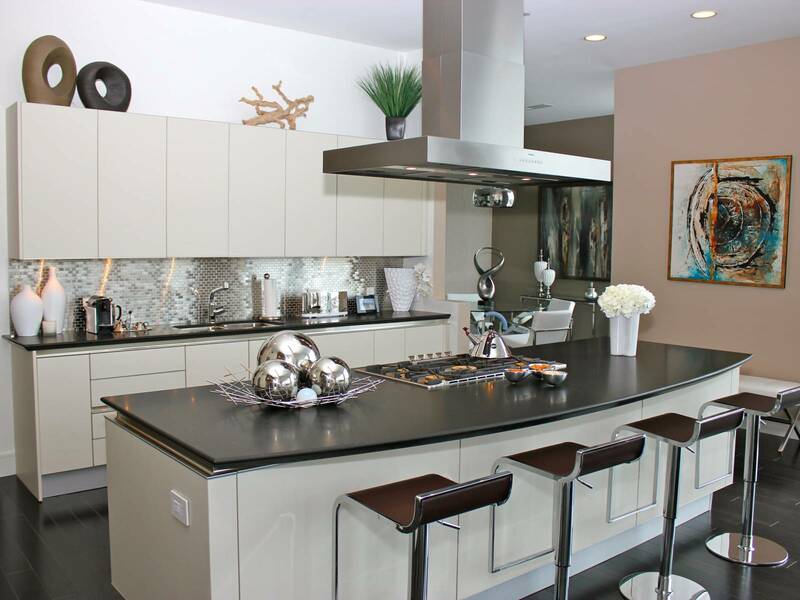 Where two people intend to cook side by side, a one-wall galley of cabinets and appliances may restrict movement. Prevent the limited space from becoming a nuisance by planning a pull-out cart that can be used as a separate food preparation area by one of the cooks. If you also need an informal eating area in the kitchen, a fold-out breakfast bar and stacking stools are useful as they can be stowed away after the meal is over. If possible, try to plan an extra deep countertop along the length of the galley kitchen so that you can store equipment along the back edge without interrupting the work area. Consider an appliance garage with built-in electric outlets and a roll-top door. Use it to store the food processor, blender, toaster, and other appliances when not in use. Where space is restricted, do not be tempted to place the cooktop or sink in the corner as there will be insufficient room for you to use either comfortably or safely. Utilize the mid-height wall space between the countertop and wall cabinets by fitting a single rail for hanging kitchen utensils. If the kitchen is part of a larger living area, it can be screened off with shutters or a remote-controlled aluminum Venetian shade that will reflect light and make the kitchen appear more spacious. 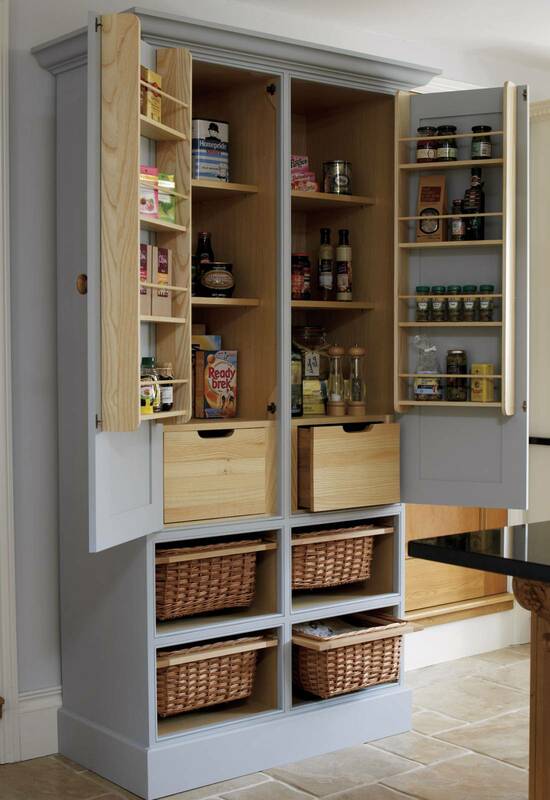 A tall, floor-to-ceiling pull-out pantry will hold a surprising amount of food. 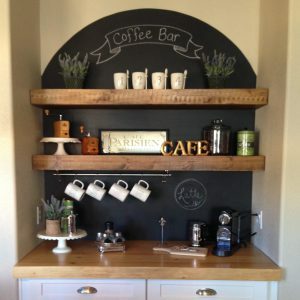 Hidden behind cabinetry, it will appear less obtrusive in a small space. Position it at the end of a run of base cabinets so that when the pantry doors are open it will not obstruct or restrict movement around the rest of the kitchen. I was just seeking this info for a while. After 6 hours of continuous Googleing, at last I got it in your site. I wonder what’s the lack of Google strategy that don’t rank this type of informative web sites in top of the list. Generally the top web sites are full of garbage.